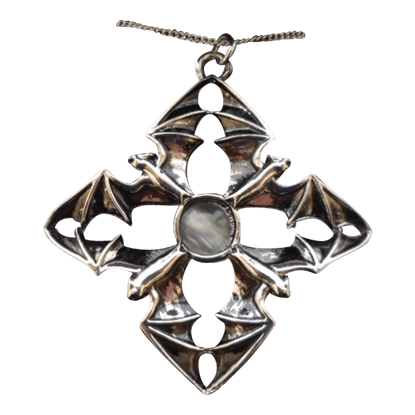 We carry many styles of gothic bat pendants. 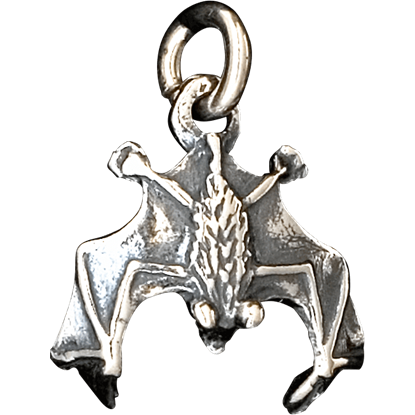 We have winged bat pendants, vampire pendants, blood sucking bat pendants and wing pendants. 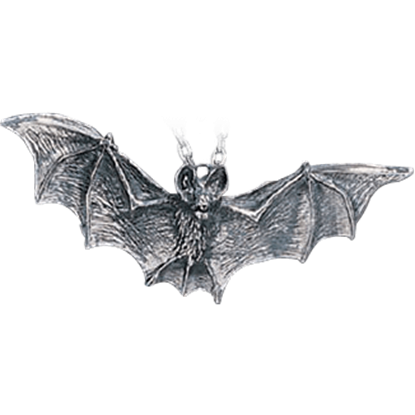 Many of our bat pendants have a traditional gothic style and are handmade of fine English pewter. 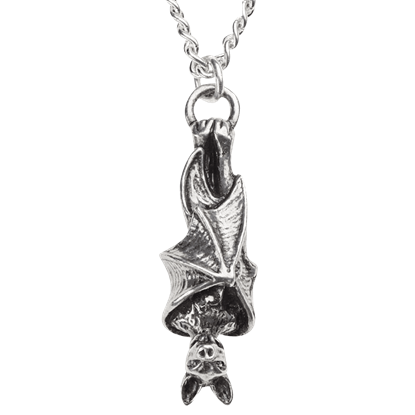 We are sure to have the right bat pendant for anyone who loves bats or is just into gothic jewelry. 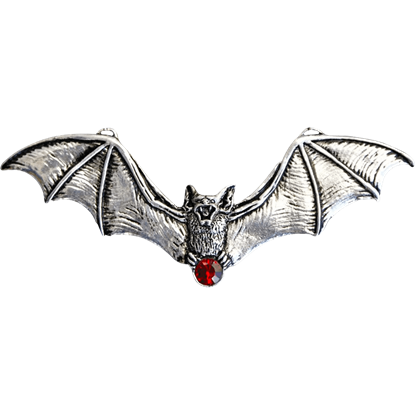 Shop here for a variety of bat pendants that are sure to give your everyday or special occasion outfit that extra touch of vampire style. Good things come to those who wait, or so the saying goes. Those who wait may find that this Arcanus Carpe Noctum Necklace delivers, with its beauty, gifts from all corners of the night, allowing its wearer to awe onlookers with ease. As a quiet dusk begins to fall on the forest, the things that like to go BUMP in the night stir. Wolves emerge from their dens, ghouls stalk the paths, and bats like the one in the Awaiting the Eventide Necklace begin to wake. The triptych is a classic artform, serving as a compact and innovative way to convey three connected works of art. And, due to their hinged nature, they also make great shrines to loved ones, as the Balkan Triptych Icon Necklace conveys. 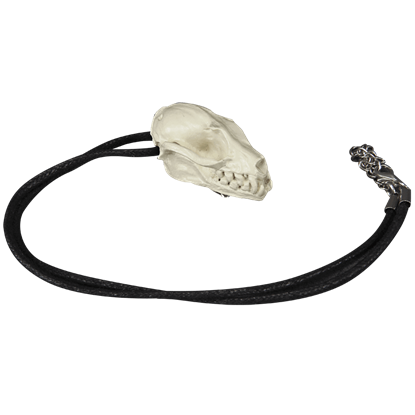 Safely admire the elegance of these nocturnal cave dwellers at your home with the Bat Necklace. This item is an authentic representation of this flying mammal that is typically known for scaring people and drinking blood. Introduce some gothic and fantasy elements into your wardrobe with the daring Batwing with Ruby Necklace. Channel the supernatural and allow this original accent to become a treasured addition to your jewelry collection. The Blood Moon Necklace creates a scene from one of the most dangerous nights of the lunar calendar. 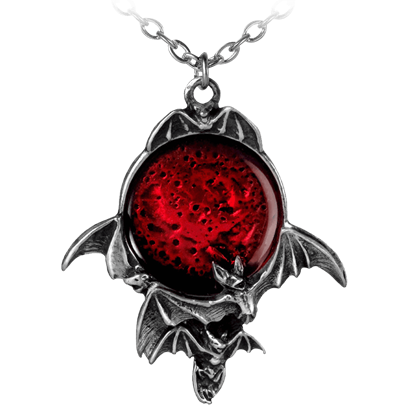 This full moon pendant features a vivid red crystal accent surrounded by a colony of vampire bats in flight. The blood moon has risen, and the vampire bat has awoken from its tomb of darkness and is ascenging the night sky. 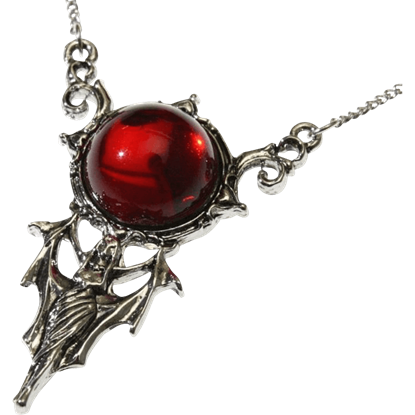 The Blood Moon Vampire Necklace represents mystery and power, rumored to grant the gift of truth wherever it lands. The Darkling Bat Necklace features a moderately proportioned vampire bat design to help inconspicuously proclaim your darkling affiliations. 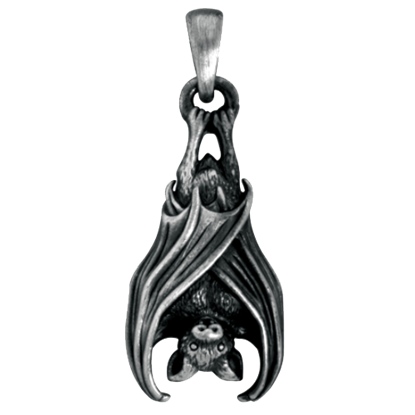 The vampire bat pendant displays its subject with realistic detail. 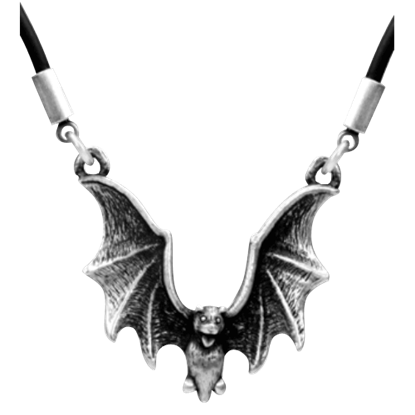 Do not fear the creatures that stir in the black of the night because the stylish Flying Bat Necklace will protect you. This stunning image captures the true nature of these nocturnal animals and creates a daring new accent. A Gothic wardrobe is not complete without a vampire bat, one of the darkest and most fearsome creatures of the night. 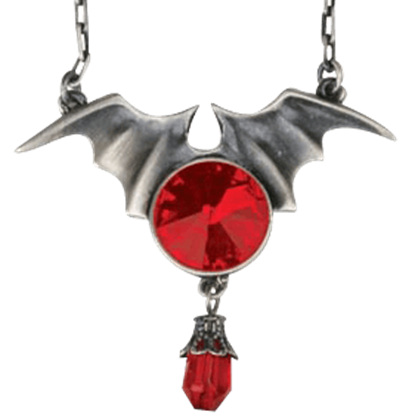 With a bright Swarovski crystal accent, this Flying Jeweled Vampire Bat Necklace makes for a striking accessory.